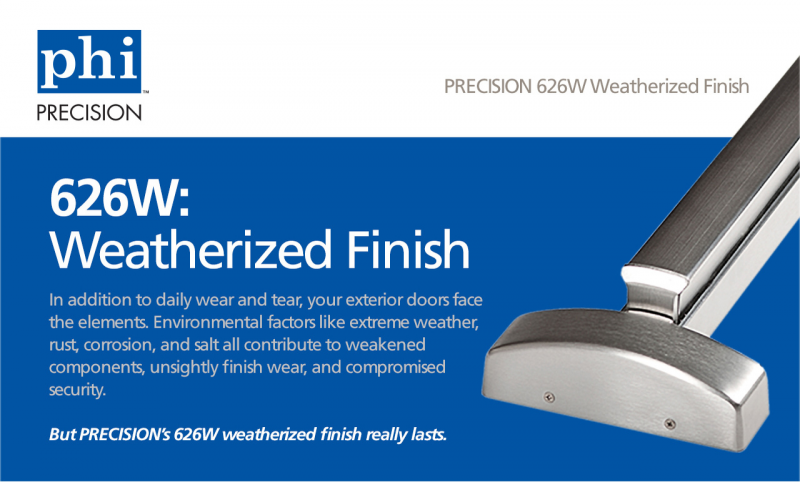 PRECISION’s 626W is not just a color—it’s an ANSI-compliant true architectural finish. • Exit devices are constructed of non-ferrous brass and coated with satin chrome. • Each external component of our weatherized exit devices meets ANSI standards for a true architectural finish, ensuring consistent looks and performance. • Backed by PRECISION’s leading finish warranty.